If you don’t see how this action by this brave little woman puts the underline on the sexual abuse committed by the TSA every day, then you only have two IQ digits to rub together. 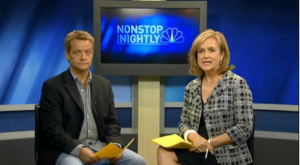 Here’s the video of my appearance with the lovely Jane McGarry on NBC DFW 5′s Nonstop Nightly. I can’t embed it so follow this link right here. Here’s a screen cap of the smoking gun email. Source and more detail on the story here. I’ll be discussing this on NBC DFW 5 tonight with Jane McGarry. UPDATE: Because of the raid on the DA’s office by the FBI, my segment got bumped until Thursday night. Stay tuned. On Jane McGarry’s “Nonstop Nightly” on Channel 5 (I think, check nbcdfw.com) to discuss the newest blunder from the Department of Justice — their cover up of the Operation Gun Walker cluster eff. 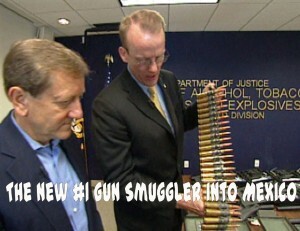 To deal with the 2,500 firearms the ATF let get across the border to Mexican gangs, their solution is more gun control. Brilliant move from the grease trap of law enforcement that is the ATF.